When it comes to building reading confidence, it's definitely not a level playing field. From different educational experiences to a lack of representation in literature, children from diverse backgrounds often have a harder time developing a love for reading, (and, really, any child can struggle when it comes to literacy). Which is exactly what author Julieann T. Randall is working to change. 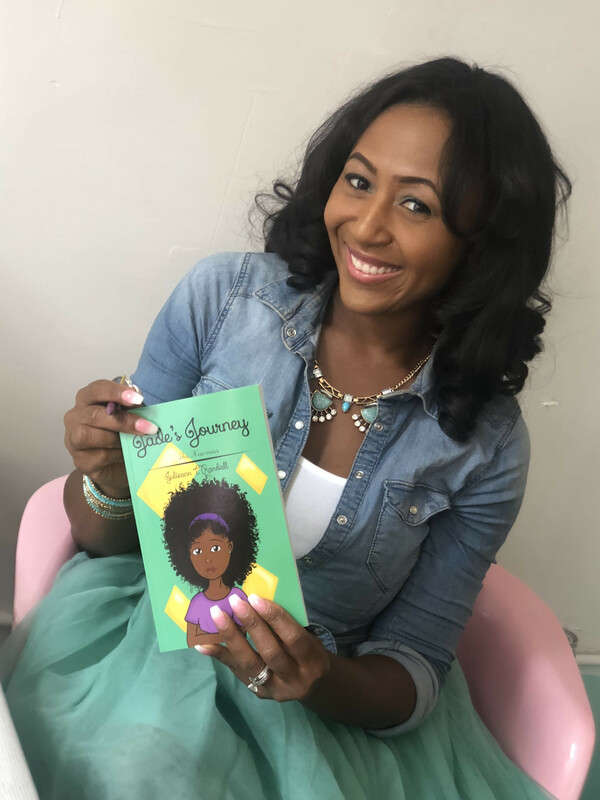 With her book Jade's Journey, and her site, Finding the JEMS, Randall is providing children from all backgrounds the opportunity to find themselves in her protagonist, as well as develop stronger self-confidence through activities like reading affirmation cards and journaling. 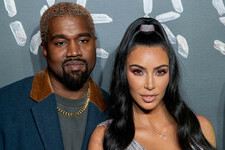 Moreover, the mission of her site is to "provide literacy programs to underserved children," and she's successfully reaching and inspiring students at schools throughout the country. Accordingly, when we discovered Randall through her Instagram account, @findingthejems, we couldn't help but feel inspired ourselves. We decided we had to know more about her projects. Mabel + Moxie: Where did the idea for your site, Finding The JEMS, come from? What was your inspiration? Julieann T. Randall: Finding the JEMS (Joint Educational Movement Soldiers) was created to shine a light on literacy and make reading a priority. My inspiration came from a lack of interest in children enjoying books. M+M: What can you tell us about your book, Jade's Journey? JTR: Writing this book initially was very cathartic for me. Towards completion, things shifted. I discovered a gem within my own writings. I realized that sharing Jade's Journey is my divine assignment; I must share her experiences with others because it’s not just hers alone. When readers hold this book and digest it fully, they will see a glimpse of themselves within the pages and chapters will turn into mirrors. The reader will become aware that they are not alone, that someone else is feeling and thinking and possibly seeing the world the same. These chapters will allow some to escape to a new life, feel a sense of belonging, and take comfort in relatable situations. Young readers and adults alike can relate to a child’s dreams of grandeur, achieving new goals, facing and overcoming defeat, and the many adventures that are part of adolescent life. Our readers come from many walks of life, and their journey will be their own story to share. My mission is for everyone that picks up this book/series to allow their imagination to be amplified, vocabulary to broaden and their understanding to expand. It is my goal for each reader to find their own gems within the chapters and binding. And for them to discover strength, tilt their perspective, and learn what their superpower is. We all have powers; Jade discovers she is mentally strong and grounded in who she is. Although her cape is invisible, her counterparts witness her bravery and strength. She is fearless and serves as an inspiration to Bobbie and others that experience bullying and unfairness. So, lace up your sneakers and come on the journey with Jade as she explores middle school. This is such a transitional time in her life – she’s in a new state and new home but doesn't have any new friends. Jade left a place of familiarity and popularity to be the youngest stranger in school. But, this lion cub learns to stand her ground and not to become prey. She learns to be proud and accepting of who she is. New roles and responsibilities are all part of her adventures as a sixth grader. She takes it all in stride and continues her journey one step at a time. M+M: What can we do as moms to instill our daughters with more confidence? JTR: It all begins at home. Creating a safe and judgement free home. Reminding them of their superpowers. Having them practice daily affirmations and Journaling. And being the example. 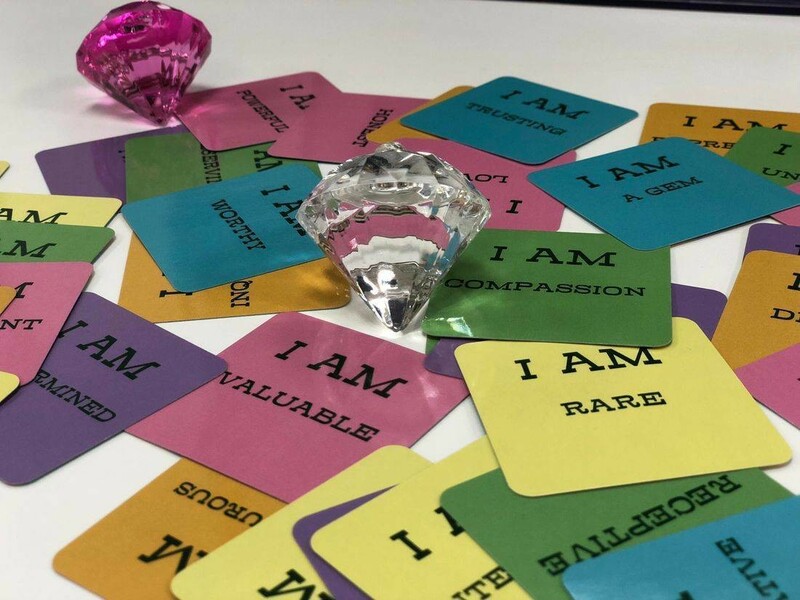 In addition to Jade's Journey, Finding the Jems offers affirmation cards and journals for kids to practice self-love and confidence building. M+M: If you could go back and talk to yourself as a girl, what would you say? JTR: I often do have conversations with young Julieann. Her life was hard and unfortunate. But the overall lesson is you are as strong as you think. You are special and you do have gifts. Continue to play the cards life gave you, because you will eventually see you already have a full house.